1. Hang your ribbon or string wherever you desire. There you have it! It's a super easy/super pretty scarf bunting! What a wonderful and simple idea! Can't get enough of the bunting! What a great idea! It turned out so pretty!! 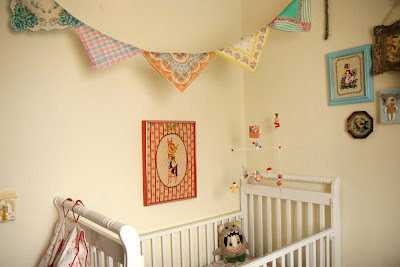 Bookmarking this DIY for future baby/nursery! LOVE it! Thanks for sharing! 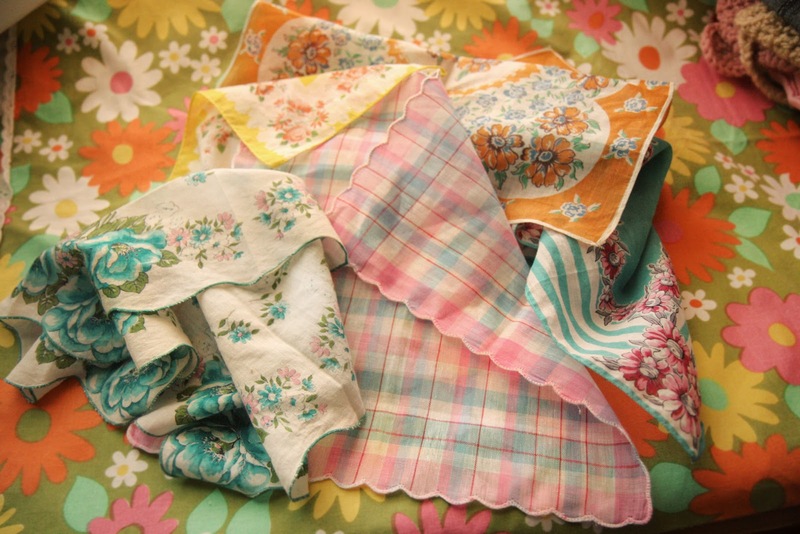 What I like about this is that you don't have to ruin the vintage handkerchiefs! That would be such a shame. 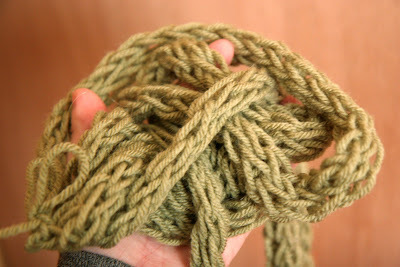 I have to made one of those, since it's so simple and I have everything you need at home. Thanks for the tip, looks really nice! Thats such a sweet DIY they look adorable over the little crib! Im so going to give it a go. So so cute! I'd love to see a close up of all the cute vintage pics above the crib! I''m so excited to see my pillow monster gets to spend some time with sweet Posey! ooooh its so cute!! love it!!! its a great idea!!! so very pretty. I am going to borrow this idea! Thanks for sharing. Excellent idea! I have a ton of these hankies and I keep thinking I need to get rid of them because I don't know what to do with them! Now, I know. Thanks. I think this might be my all time favorite way to use hankies. Thank you so much for this! oh yes! 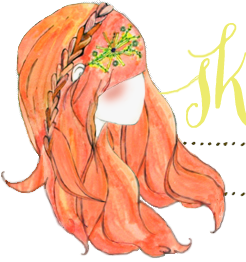 I have lots of these pretties hanging around...can;t wait for a baby girl's nursery to decorate!! this is such a simple but fantastic idea! i'm currently on the hunt for old story books to make bunting out of! so simple!! i need to start collecting scarves now! beautiful! i have a bunch that were my great grandmothers i know what i am going to do with them! ooh, so pretty - now I have a reason to buy some of those pretty vintage scarves that I see around! thanks! for those of us who don't sew this is perfect!! I love simple projects that pull a room together. Thanks for the share. Wow. This is fabulous. 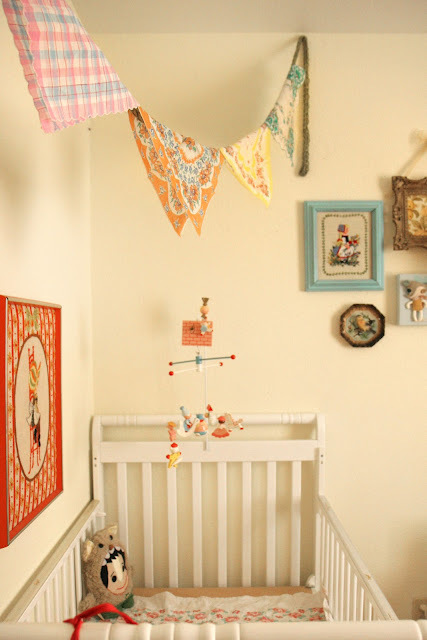 I am expecting and I want the nursery to look like this!